Full length paranormal romance with shifters and gypsies and demons–and an HEA. Magic runs strong in Ilona, a gypsy seer. Powerful ability isn’t valued in Romani women, so she focuses her fortunetelling on inconsequential details. Nothing that could come back to haunt her caravan if a prediction went bad. Rounded up and dumped in Dachau prison camp, she has plenty of time to rue her decision to downplay her ability. If she’d taken the time to scry her own future, she’d still be free. 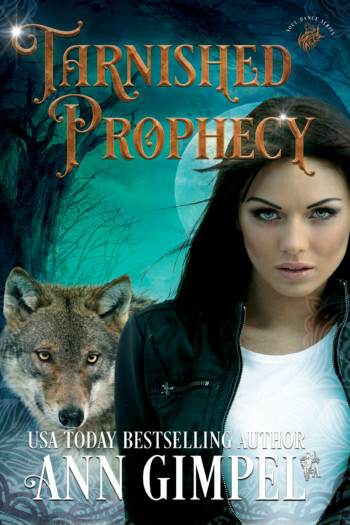 A wolf shifter, Jamal made the mistake of wedding a Romani woman centuries ago. His arrogance caused both death and heartache, and he’s been alone ever since. The recent threat of vampires joining the Third Reich has provided ample reason for shifters and Rom to lay their ancient enmity aside and work together, but their détente is fragile. Jamal and a group of shifters come across Ilona after her escape from Dachau. Vulnerable, terrified, she’s fully prepared to fight. Her courage and mettle touch places in him he’d thought were dead, but she’s Romani. His last relationship ended so badly, the last thing he needs is to fall for another gypsy woman. He wrestles his tumbling emotions into submission, but when she trains her enigmatic, gray gaze on him, his resolve first weakens and then vanishes entirely.